Enjoy dinner before the presentation in Valley Restaurant where a $35 price fixe menu will be available (price includes $5 event fee). Reservations are strongly recommended. Space is limited. in and about this region share their ideas, works, thoughts, experiences – just about anything, really – in the PechaKucha 20×20 format. The 20×20 format is a fast-paced, precise presentation format where a speaker is allotted a total of 6 minutes and 40 seconds, which equals 20 images … each for 20 seconds. The result is something like “show & tell” for all ages. Valley & World’s End Bar both open at 5:00 pm. Email jamesb@thegarrison.com to reserve for price fixe dinner. 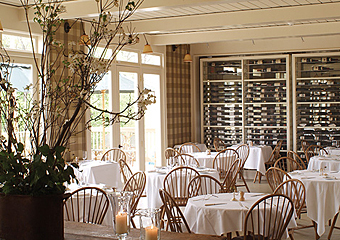 Enjoy a complimentary glass of wine with each entree at Westchester’s popular new restaurant, Cellar 49 at beautiful Tarrytown House Estate. Offer good now through June 26 (Sun – Thurs only). Go to Vintage Hudson Valley for details or click here for coupon. 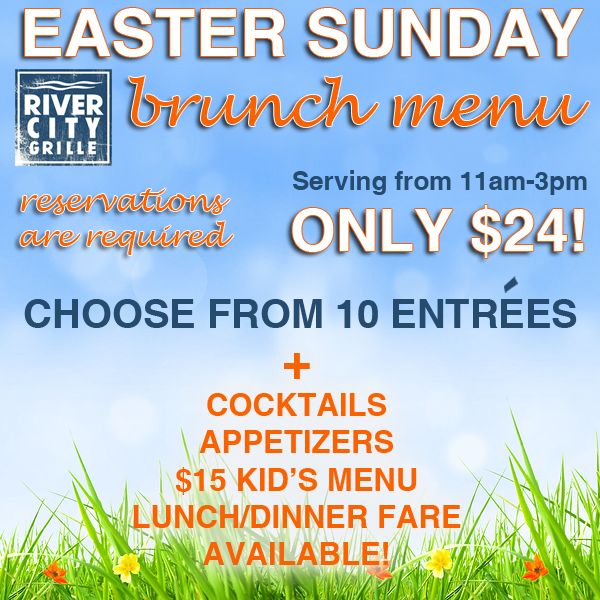 Join family and friends for River City Grille‘s Easter Brunch! Make your reservation now for a special Easter Brunch on Sunday, April 20, 2014. 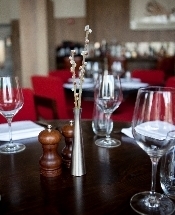 We will be offering an a la carte menu from 10am – 3pm. Enjoy a delicious brunch in a beautiful setting overlooking the falls. Reservations are recommended. View the menu here. Call us at 845-765-8369 or visit our website to make a reservation. Join us on Friday, May 2nd at 7pm for our next Chef’s Table in Swift. Executive Chef Brandon Collins and Sous Chef Nicholas Leiss are bringing a very personal experience to the dining table by way of a “Childhood Memories” theme dinner. Chef Collins and Sous Chef Leiss have drawn inspiration from family favorites and traditions to create a wonderful dining experience. The night will include at least 8 courses at our communal table in the middle of the beautiful Swift dining room. $125 per person (excluding tax and gratuity). $175 per person includes a beverage pairing featuring expertly paired beer, wine, and spirits. There are only 14 spots available for this one-of-a-kind opportunity. 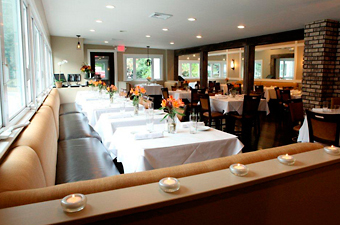 To make a reservation, please call the restaurant directly at 845-765-8369. Treat Mom to an unforgettable Mother’s Day brunch in our spectacular Waterfall Room on Sunday, May 11, 2014! We will once again be opening our beautiful event space to the public for this special occasion. The Waterfall Room offers one-of-a-kind views and a unique setting to enjoy our exceptional Mother’s Day Brunch Buffet. $35 per person, $15 for children 8 and under. Children under 3 are free. Brunch will be offered from 10am-3pm. View the menu here. Make your reservation on our website, or by calling 845-765-8369. (TARRYTOWN, NY) – March 2014 — Recognized as one of the most romantic wedding sites in America, Castle Hotel & Spa is hosting its 13th Annual Wedding Showcase on Tuesday April 8, 2014 from 5:00 pm to 8:00 pm. Brides and Grooms for the coming season, as well as potential brides and grooms, family and friends are invited to experience the Old-World elegance of the hilltop medieval-style Castle and its many charming settings for the wedding ceremony, reception, guest rooms and suites, gardens and lawns, and the chance to sample the celebrated cuisine of the critically acclaimed Equus restaurant. Tours of the property, including the spectacular new THANN Sanctuary Spa, will be available. This is an opportunity to simplify the wedding planning process and help make dreams come true. The Culinary Team at Castle Hotel & Spa will present their wedding menus and provide samples throughout the building. These include food stations for hors d’oeuvres, entrees, and desserts presented in the Great Hall, Caramai Ballroom, Library, and Oak Room. The specially chosen wedding vendors will be available to assist with details or to provide guidance. These vendors include experienced professionals in the fields of photography and videography, hair and makeup, invitations, floral designers, transportation, bridal consultants and planners, and music and entertainment. Reservations are required and space is limited. The cost is $79.00 per person. 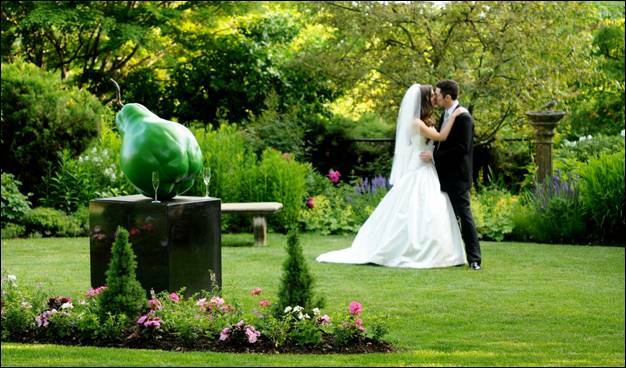 There is no charge for Brides and Grooms who have confirmed their wedding at Castle Hotel & Spa for the summer of 2014. For reservations and additional information about the Wedding Showcase, call (914) 524-6366 or email events@castlehotelandspa.com.